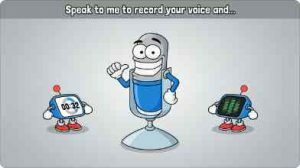 From the creators of “Voice changer with effects” comes VoiceTooner, the voice changer with cartoons. It’s very easy to use: just record your voice, then touch any character, and they will repeat what you said. Each character has a different voice! You can create videos using your voice modified with different effects, and share them with your friends. And more characters coming in future updates! All characters can be obtained for free. Requires iOS 8.2 or later. The voices are pretty cool but in order to get all of the ones you want you have to wait 24 hours open one then do do the cycle again. Plus you don’t have a choice it is just random. I get that they could get money from that but still. Anyway the characters have animated bodies that are cute and it is fun to play around with.